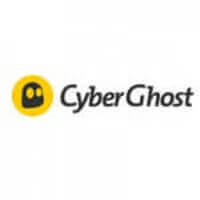 Unlike many other VPN services, which often do not even have a free trial, CyberGhost offers a completely free version of its VPN software. Although this may seem strange, given that the guys behind CyberGhost sell VPN services for a living, there is a noble cause behind this decision. They state that the reason for offering 100% free services lies in the fact that they are on a mission of fighting against mass surveillance and censorship. That is why they are offering their services to everyone who may need them, including those who cannot afford their paid packages. Using the CyberGhost free VPN version does not require registration of any kind and you do not have to enter any personal information. Downloading and setting it up is as simple as clicking the Free Download button on the CyberGhost website. This automatically redirects you to the instructions page and starts the download as soon as you choose the destination folder. Once the installation is complete, the software launches automatically and asks you to choose the desired service. Pick one of the available options, choose the country if you wish, and you are good to go. 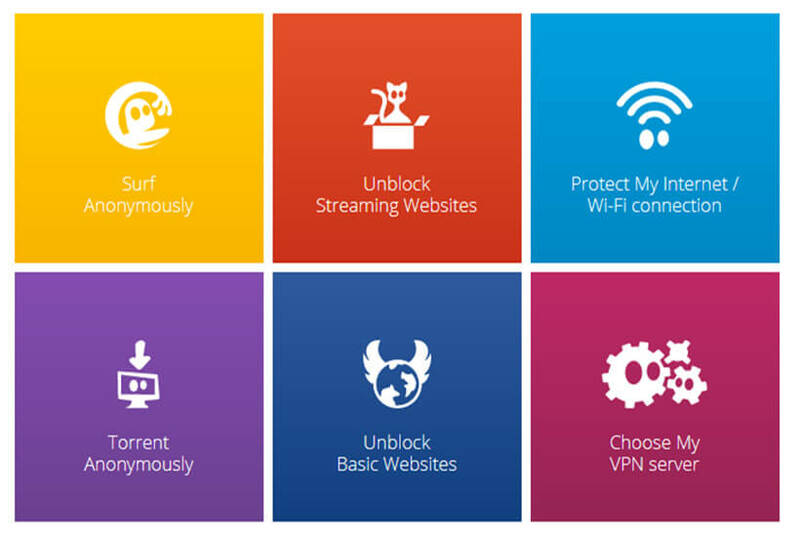 The CyberGhost free Windows app comes with three different service profiles, allowing you to surf anonymously, unblock basic websites, and protect your Wi-Fi. Free CyberGhost apps for Mac, iOS, and Android come with only one profile each. The Mac version allows you to surf anonymously while the iOS and Android versions bring you hotspot security. The free versions of CyberGhost can be used for an unlimited time period and come with unlimited bandwidth and traffic. They are equipped with military grade AES 256-bit encryption. You also get to enjoy the benefits of an anti-fingerprinting system, which prevents websites from tracking your online behavior and collecting data about you. The software offers you great security and absolute anonymity. It prevents websites from eavesdropping on your online activity, does not require any personal information, and keeps no logs. Free users do not get to use all the CyberGhost service profiles. Unblock Streaming, Torrent Anonymously, and Choose My server profiles are reserved for paying users only. They also miss out on the more advanced and highly useful features available to premium users. These include data compression, automated HTTPS redirect, malicious website blocking, online tracking blocking, and ad blocking. The free versions of CyberGhost allow access to only a limited number of servers while the paid packages bring you access to over 1,100 servers in 51 world countries, including the US, the UK, Japan, and Singapore. The speeds are also 5 times greater with the paid packages and the performance is much smoother. As a free user, you do not get instant access to servers but have to wait until there is a free slot. After 3 hours of continuous use, the VPN is automatically disconnected and you have to reconnect in order to keep using it. On top of that, the free version features ads. Every 120 minutes, CyberGhost ads are displayed, mostly suggesting that you upgrade to a paid package. Keeping in mind all the benefits and downsides, the CyberGhost free version is an excellent way to try out the service but does not allow you to enjoy the stellar performance and great speeds the premium packages offer. If you want to learn more about CyberGhost’s offer, be sure to check out our expert review of CyberGhost VPN.